Chickens foraging on soils containing environmental pollutants can accumulate these chemicals in their tissues and eggs. A study by Piskorska-Pliszczynska et al. assessed levels of dioxins in eggs produced in Poland, in some cases finding concentrations several times above the safe EU limit. Most chemicals in food are beneficial — carbohydrate, fat and protein are all composed of chemical compounds. However, some synthetic chemicals in food can be harmful. Substances that persist in the environment and accumulate up the food chain are of particular concern, including dioxins. Dioxin is a catch-all term used to describe a large group of toxic chemicals, including polychlorinated dibenzo-p-dioxins (PCDDs) and polychlorinated dibenzofurans (PCDFs). Dioxins are by-products of industrial processes and are particularly dangerous because of their ability to accumulate in the fatty tissue of animals. Prolonged exposure, even at very low doses, can damage the immune, hormonal and reproductive systems and may even cause cancer. Dioxins are found in the air, soil, sediments and vegetation, but over 90 per cent of human exposure occurs through food, mostly through fish, meat and dairy products. The major source of dioxins in food of animal origin is animal feed, leading the European Commission to establish, besides maximum levels for food, maximum dioxin levels for feed. Animal feed may be contaminated by dioxins through soil (a natural reservoir for dioxins); the researchers indicate that 2–10 per cent of feed may be made up of soil. While industrial processes were previously the major source of environmental dioxin pollution, uncontrolled sources such as the burning of wood and organic and synthetic materials are now thought to be the dominant source. Some preservatives, including pentachlorophenol (PCP), contain dioxins that can be released directly into the atmosphere. PCP was used extensively as a preservative in animal facilities until its use was restricted in the 1980s, and has been associated with dioxin contamination of livestock and eggs. Following European recommendations, particular attention has been paid to dioxin levels in hen eggs. Routine tests have been carried out across Europe, including Poland, which this study reports on. Researchers sampled 187 pooled egg samples (2244 hen eggs) collected from farms throughout the country. They analysed dioxin and PCB levels (compounds that are also persistent in the environment) in eggs from organic, free-range, barn and battery farms. Although overall, dioxin concentrations were low, organic and free-range eggs contained higher levels, exceeding the permitted EU level (2.5 pg/g — picograms per gram of fat). At one farm, concentrations reached 29.84 pg/g in free-range eggs, exceeding the EU maximum by 12 times. 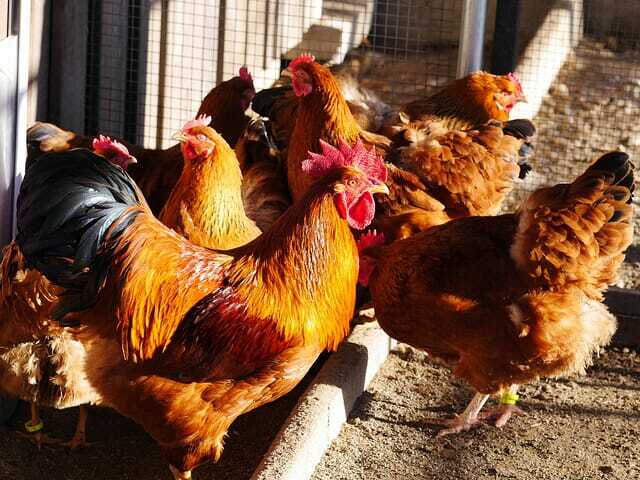 At the farm where these eggs were produced, the researchers collected various other samples, including feed, soil, building materials, wood, waste and hen tissues, in order to identify the source. The investigation eventually identified the source to be wood treated by PCP, which was present in the 40-year-old farm building. The wood contained PCDDs/PCDFs at concentrations of 3922 ± 560.93 pg WHO-TEQ/kg (pg World Health Organization Toxic Equivalents per kg), and PCP at very high levels of 11.0 ± 2.5 micrograms per kg (equivalent to 11 million pg/kg), and had polluted the ground on which laying hens were foraging, confirmed by analysis of the floor material. The researchers estimated consumer exposure to dioxins based on the consumption of these eggs. Intake was estimated using official consumption data, based on an average weekly consumption of three eggs per week. They also estimated risk for high egg consumers (five to six eggs per week) and children aged 2–3 years (five eggs a week — the national nutritional recommendation for Poland). Risk was calculated by comparing intakes with toxicological reference values for tolerable weekly and monthly intakes. High egg consumers exceeded both limits, which suggests a risk of adverse health effects. For children, the estimated dose exceeded the safe weekly intake by 450 per cent, which is of particular concern considering that children are more susceptible to synthetic chemicals than adults. Although average consumption did not exceed either toxicological limit, the researchers point out that eggs are not the only source of dioxins, and thus that there is still a risk to public health. The researchers say people who frequently eat home-produced or free-range eggs may be at risk and say monitoring is needed to mitigate the health risks of exposure to dioxins. The researchers say that PCP dioxin contamination of food is now quite rare due to the discontinuation of PCP production and use (Regulation (EU) No 528/2012 (biocidal products); Regulation (EC) No 1907/2006 (REACH); Stockholm Convention). However, remaining PCP-treated wood, which is often found in old outbuildings, still constitutes a threat. They say it could pose a serious risk to human health via consumption of contaminated eggs and poultry, and recommend efforts to identify sources and remove contaminated food products.